Today begins March Madness– three weeks of college basketball at its best. When it comes time for the Final Four in Atlanta, there will be something more important going on than just a lot of hoops. Thanks to Samaritan’s Feet, basketball players, coaches, and fans will be providing service to local children, giving them hope, encouragement and a new pair of shoes. Samaritan’s Feet, a non-profit whose mission is “servant hearts…sharing hope,” is the life work and passion of its’ Founder, President, and CEO, Manny Ohonome. Manny grew up in a village in Nigeria where the children didn’t have access to foot ware. He was the first in his family to have shoes when he came to the United States to play basketball for the University of North Dakota. Ten years ago, after relocating to America, Manny returned to Nigeria for his father’s funeral. While he was there, he noticed that the children of his village still didn’t have access to shoes. Without shoes, those children can not attend school and get an education because shoes are a part of the mandatory school uniform. Without shoes, the children fall prey to parasites which led to foot infections, amputations, and even death. Manny found out that in Africa, 300 million children are at risk without the opportunity to wear shoes. 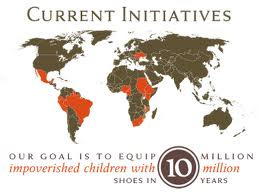 Worldwide, over 1 billion children do not have adequate shoe care. Then and there, Manny began a vision to “put shoes on children all over the world.” His goal: to give 10 million children a pair of shoes. Since establishing Samaritan’s Feet, he is half way there, providing shoes for 5 million children, in 65 countries around the world, and in over 200 communities in the United States. How Samaritan’s Feet gives the shoes to needy children, is amazing. Volunteers welcome each individual child to their “station.” They call each child by their name, introduce themselves, and begin removing the worn, ill-fitting shoes the child has on their feet. The volunteers then spend 10 minutes bathing the child’s feet — in the same manner Jesus Christ did with his Apostles — all the while talking to the child, learning of their goals and aspirations, giving them a listening ear and encouragement. After cleansing and massaging their feet, the volunteers present each child with a clean pair of socks and a brand new pair of shoes in their size and help the child put them on. For many children, this is the first, non hand-me-down, correct fitting shoes they have ever owned. A hug, a high five, more words of encouragement, and the child is sent on their way with a smile and an assurance that anything is possible for them to achieve. How cool and meaningful is that? I met Manny at the Buick display during the Media Preview of the Chicago Auto Show. Buick teamed up with Samaritan’s Feet two years ago during the NCAA Final Four as part of their Buick Human Highlight Reel, and have been partners at many events (like the Chicago Auto Show and the Super Bowl) ever since. Many of Buick’s employees– from all ranks– volunteer over an over again to this amazing cause. Said Nick Richards, Communications Group Manager, “I was nervous to help out at first but after talking with the girls and seeing how excited they got, made it all worth it.” Stephanie, who works with Buick’s Marketing Department in Detroit and came to Chicago to be a volunteer at the event said, “I was inspired by Manny’s story. 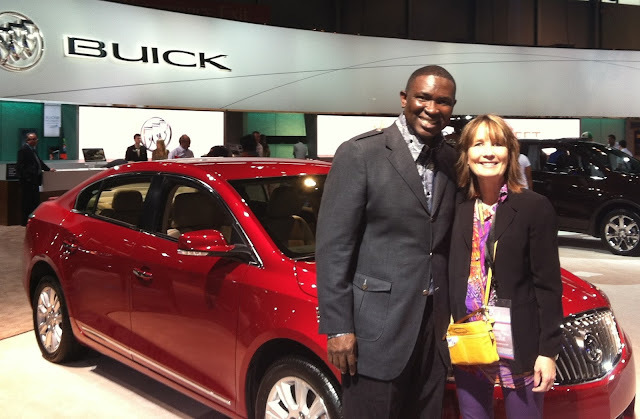 As I watched other employees interact, I was so touched that I wanted to give back too.” At the Chicago Auto Show, Buick volunteers gave out shoes and words of confidence to 200 girls in 2nd through 8th grade.. This year marks the 75th Anniversary of the Final Four. To honor this accomplishment, Manny and Samaritan’s Feet plans to help 75,000 children in the United States Dream Big Dreams one step at a time beginning with a new pair of shoes. Anyone can help them achieve this goal by going to their website to donate a pair of shoes or even hold their own virtual shoe drive. After meeting Manny in Chicago and the good people of Buick, now every time I slip in to one of my many pairs of comfortable shoes,I think of Samaritan’s Feet and the great good they are trying to achieve. They haven’t come to Southern California yet, but when they do, you can bet I will be right there, washing some children’s feet, listening to their dreams, and giving them encouragement for their success. 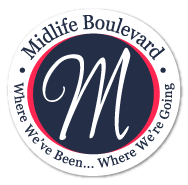 In the mean time, I’ve gone to their web site and I will be watching the Final Four–not just to root on my favorite team. But to root for Manny and Samaritan’s Feet as well. How about you? What an awesome cause! And so crazy to think how many don’t have something that seems so simple. Especially tragic for those who just something as simple as a pair of shoes might be the difference between going to school or not. We do take so much for granted and forget how simple things can keep others from enjoying all life has to offer!!! I don’t know what your issues might be. 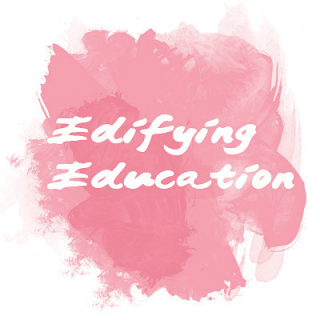 I did just have my blog’s cover page redone. Sorry it takes so long to load. Please let me know if this continues and I will have my designer take a look. I want to make sure you keep stopping by!!! Oh this just makes me weep. And I as I order another pair of shoes for myself today makes me feel that I could be doing so much more. Tell me about it, Shelley. Every pair of my shoes are calling to me to help out again and again with this great cause. What an inspiring young man, and what a worthwhile cause. It makes me sad to think of all those women who spend hundreds on a single pair of shoes that sometimes sit unworn in the closet while there are young children dreaming of one pair of footwear just so they can go to school. Way to go, Manny! Continued success with “Samaritan’s Feet”! Thanks for your support, Kate!!! Caryn, congrats on tying such a big event to such a big cause and what delivery! I can only imagine how the volunteers make those kids feel so special with the attention, foot bath & massage and then the cherry on top with new shoes. Applause to you and your group for making this happen. Thanks Brenda for enthusiasm to this great cause!!! Volunteering can bring so much happiness to those who are receiving, but even more joy to those who are giving their time…I just love this! Thanks for your insight, Jennifer!! !